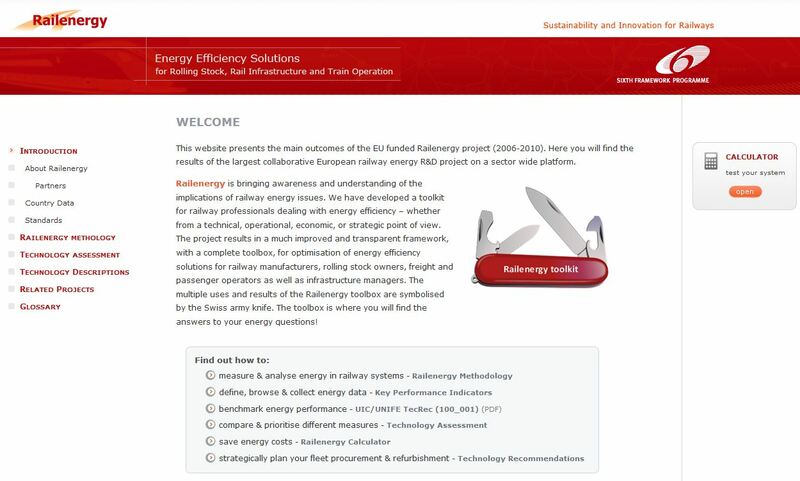 Macroplan has developed an online tool offered to explain how to use the tools and standards coming out of Railenergy, the biggest collaborative European rail research project for energy efficiency to date. It is available directly on the project website: www.railenergy.eu. The tools use videos and animations as part of an easy and understandable approach to the complex topic of energy calculation. 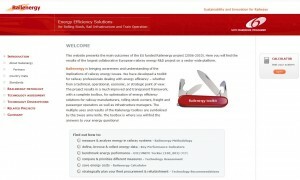 The Railenergy calculator is a software-based decision support tool for the assessment of various energy efficiency strategies for the main decision-makers in the railway sector. The tool helps system integrators assessing technologies to be used in future competitive rail vehicles and infrastructure components. Likewise, railway operators and infrastructure managers will benefit by being able to evaluate the operational, technical and strategic investment opportunities for energy efficiency solutions within procurement, leasing, operation and maintenance of railway systems. The strategic evaluation is based on a simplified cost benefit/cost effectiveness methodology including a strong lifecycle perspective. The tool enables the optimal mix of energy efficiency strategies to be defined at either vehicle or network level, with respect to energy efficiency and costs (e.g. investments, payback time) regarding both possible techniques as well as uncertainty in the planning process (future traffic) and tariffs. Technical Recommendation 100_001 is a direct output of the RAILENERGY project and applicable for the specification and verification of energy consumption railway rolling stock. The criterion for the energy consumption of rolling stock, as set forth in the present document, is the total net energy consumed â€“ either via the rail pantograph or from the fuel tank â€“ over a predefined service profile, which is either taken from the future operation of the train, or according to a standardised typical profile valid for the specific service category of trains. This method secures directly comparable results by and representing the real operation of a train. The general purpose of this Technical Recommendation is to provide a comparative framework to evaluate energy performance values for train sets or locomotives on a common basis, thereby benchmarking and improving the energy efficiency of all types of rail vehicles. For more information about this product contact Director Mads Bergendorff.